We always love showing our brands off in the best light, and so when Disaya came to us with her magnificent AW17 collection inspired by still lifes and the art of flower arranging, we decided that this is a story that needs to be told! So last month Disaya took over the gorgeous Hoshinoya Tokyo reception room to display the new collection, along with some never-before-seen pieces, and it seemed fitting that it should literally be surrounded by ikebana. 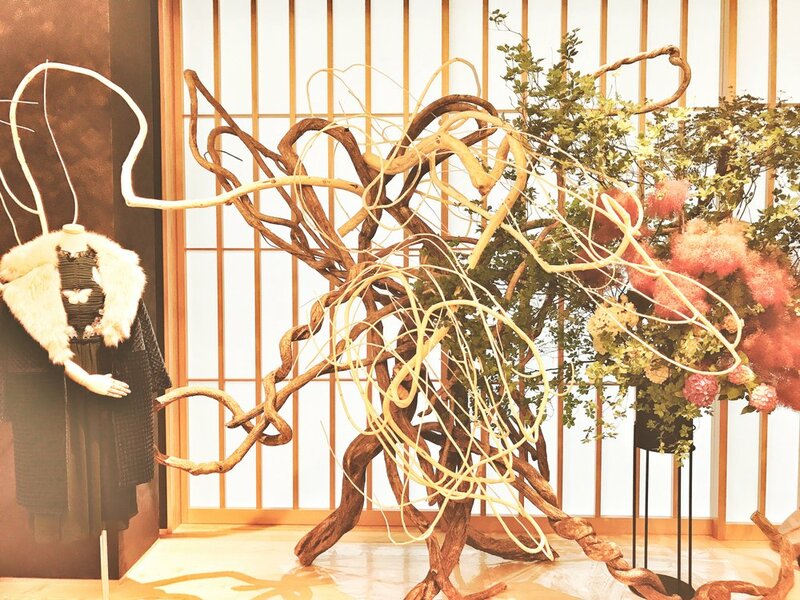 So we worked with ikebana master Mika Otani to create the most beautiful Sogetsu display we've ever seen - magnificent vines and seasonal flowers wrapped their way around mannequins displaying the collection, giving the collection a new life. It was the perfect way for the Japanese and Thai press to interact with the collection - there were even ikebana classes to help all our guests perfect the art.